The “dual project” was born of a simple fact that remains just as true today: a company cannot succeed in the long run if it turns its back on the society it is a part of, if it only looks to its short-term economic gain. 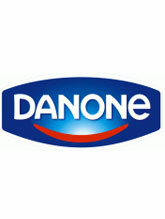 Danone’s founder understood very quickly that creating economic value and social value are both essential to a company’s solidity. It is common to oppose the “social” and “economic” spheres, where social needs are perceived as a cost and therefore generally detrimental to a company’s competitiveness.